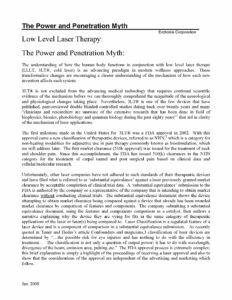 Classification of Lasers and the risk associated with different classes can be difficult to understand. 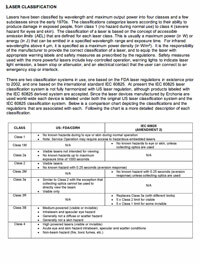 Erchonia has authored this document in order to explain Laser Classification in a clear and concise manner. To read full size click here.